The purpose of this weblog is to investigate the meaning and purpose of design and the design process. Extensions, i.e. projections, emerge from a common source. They interface, entangle, and create a series of standing waves appearing as patterns made apparent within certain pre-conceived constraints. Visceral intentions are afforded the opportunity and potential to materialize within self-construed fields of virtual energy made accountable only to the observer, i.e. the original source. Not all “events” are tangible or recognizable in 3D space/time. Without a source there can be no observation, no designation, no extension, no field, no energy transmission, no light, no information, no creation and no expansion of awareness. A focal point emerges from an unknown field of virtual energy (unconscious). This phenomenon becomes evident as a center, a source, a unit and in essence, a position created for observation and reference based within the framework of an unchartered field. Qualities that distinguish this source from its field of origin appear to be extensions of energy/light/information that qualify it as a field within a field; a holographic domain permeated with conditions that are shared and appear to be a part of a common source. These discharges of energy penetrate the same virtual field from which the source emerged, i.e. the same mysterious field that gave birth to the zero point/unit/source. This process could also be described as a quest, an exploration, an inquiry into self through a series of holographic representations that constitute the virtual field of its very origination, i.e. projections patterned around a focal point of being-ness. These experiences are made apparent to the observer by taking relative “form” in the design process, which in reference to humanity, poses as a particular reality in 3D space/time. Vectors of energy that extend beyond the zero point mimic the Fibonacci sequence and give reference to the basic vibratory patterns that together create the geometric templates for consciousness (the field) to be made manifest in relative form, i.e. music, mathematics, art, nature, etc. These patterns appear before awareness as the golden section, the golden mean, the golden ratio, the golden rectangle and are dictated by the constraints that surround 3D space/time. Due to individual situations and resistance inherent in every field (density) these vibratory discharges eventually return upon themselves giving rise to what appears to be a dualistic environment made holographically apparent through emanations originating from a particular position or reference (source). “The torus enables vortexes to be formed. All torii create energy vortexes. Energy can funnel up or down through it; the rotating nature of a torus generates a flow of energy through the torus, depending upon the speed of rotation of the torus and the kind of torus it is (there are 3 kinds of standard torii). 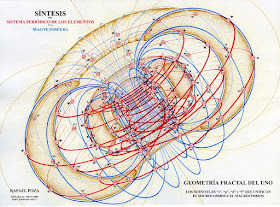 An examination of the torus shows that its very construction forms energy funnels, or vortexes…. Pointedness is a frame of reference, a holographic focal point emerging from an indistinguishable field of origin. Such a focused arrangement requires centering, it typifies a core-based motion, a vector, a quantity that can be measured, have direction as well as magnitude and scale. This central pointedness in motion appears as a line, a pointed centeredness projected beyond the constraints of an indiscernible field that rests beyond what is conscionable, material and known, an energy that holographically contains the essence of that which presents itself as a "source". What is a line, but the tracking of a point in motion. What is a vector, but the trail of a reference point mysteriously emerging from within the depths of the unknown, an expression in motion resonating holographically in relative form, the origin of which is its very soul; the projection of a point of oneness on the path of creating and composing a field that reflects its identity through design. Therefore pointedness, when perceived as a line, has an identity. This identity is "consubstantial" ... meaning it is composed of the very substance and essence that sustains it. (To some this expression has taken on religious overtones and has been interpreted as the origin of the divinity) A simple way to understand the concept of consubstantiality is to observe the phenomenon in 3D space/time as a tornado or hurricane around which air is the active force both at its core and perimeter. Such events give presence to a constantly changing nucleus of a consubstantial "substance" cyclically spiraling top to bottom and whose parameters are determined by the density of the context (environment/field) in which it presents itself. It is important to consider the symbolic relationship between the consubstantial events we observe in nature and those that appear to emerge from within the depths of a quantum field of virtual energy we describe as consciousness. Consider your mind, your emotions, your physical body and yes your spirit, as focal points symbolically presented before your awareness solely for the purpose of observation, growth and expansion. Consciousness appears before humanity as a mysterious field filled with potential; consubstantial, holographic, interlacing, spiraling bundles of energy, light and information composed of both tangible and intangible forces spinning and revolving about a unique core, a unique essence, a unique center and a unique soul fullness. Consciousness identifies itself when it takes on the form of a torus. A consubstantial phenomenon constantly adapts to every situation and context it encounters both within and outside the parameters of its field of origin. Both are one in the same. What is curiously obvious are the consubstantial influences that appear both within and outside the boundaries of the phenomenon, symbolized by the formations of energy/light/information that are both effected and affected by the environment and the context in which the event occurs. More substantial (material) forms and elements are drawn towards its center and because of the forces encountered, are similarly being flung far beyond the observable boundary of its core. The influence upon that which is more tangible, more dense, more concrete, e.g. form, also symbolizes the level of force emerging from within the central nucleus of every consubstantial event we identify as being conscionable. Without the presence of form/substance to support and identify the location and quality of a consubstantial event consciousness would be unaware of itself. There lies the paradox. What came first, the source or the field in which it made its presence felt? Such a mystery cannot be resolved by that which is a reflection of its self. Pointedness has its own dimension/s. Pointedness has its own universe/s. Pointedness represents an internalized energy, i.e. movement, a causal agent whose "source" exists beyond the imaginative concept of linear time. The magnitude (scale) of such pointedness is found at galactic, solar, planetary, human, animal, organic, elemental and nuclear levels in 3D space/time. Such a phenomenon also appears within the matrixes of the Cosmos where the laws of contemporary 3D space/time physics are sometimes of little measure. The vector source, i.e. pointedness in motion, will create an identifiable situation, i.e. a vortical expression, in the very field that sustains it. The origin of such a vector source will appear to stem from another dimension, but is actually the result of changes in density appearing as motion, i.e. change, within the virtual field from which the vector "materialized". Such movement creates a new field about a central axis that has come forth. This new field gives recognition to those qualities that are attributed to the "original" field in a process where one-ness (source) becomes two-ness (torus) and experienced as three-ness, e.g. holographic form. The vector source contains "qualities" that characterize its origin through symbolic means made manifest in relative form. Origins of the vector source are expressed symbolically in all that is created and in every field/context encountered, e.g. air, water, virtual, space, physical, emotional, mental, "spiritual". Vector sources are symbolically expressed as formations of virtual energy made manifest within the constraints of the field in which they were disseminated. Due to fields of assorted magnitude and density, all vector sources, i.e. pointedness/intentions, meet resistance in the form of friction in 3D space/time universe. The field offers the resistance thereby creating the "situation" allowing for both an expansion and contraction about a center of origin. This is why life cyclically returns upon itself, e.g. the four seasons, reincarnation, ascension, through various formations of energy/light/and information made manifest within the parameters of its own field of expression. The context in which this phenomenon occurs also describes the density of the field in which it appears. This is achieved by encountering the constraints in every situation and by adapting (changing) to these limits solely in order to sustain the vector's designation and intention. Achieving and retaining harmony is a life sustaining principle that entertains certain vibrations solely in order to achieve a sense of balance within the contextual parameters of 3D space/time. In part this process also accounts for what appears to be a kind of separatism or individuation within the parametric awareness of every field. 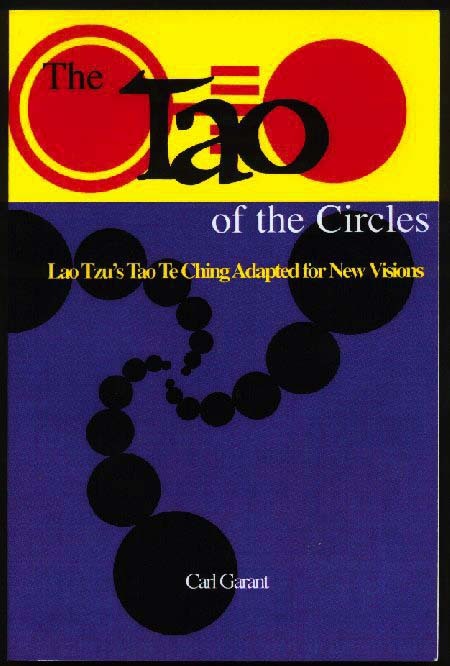 "The most deconstructed archetypal forms are vortexes, toroids, solitons, and singularities. The most fundamental archetype of process is the Field. The quantum vacuum is a dynamic massless scalar field. Scalars are just active information; a hologram is pure information. Entanglement is a property of nonlocal quantum information exchange. The central spiral vortex crossover point (all adjoining toroidal fractal involved fields) is what physicists call a "twistor" or a "wormhole". 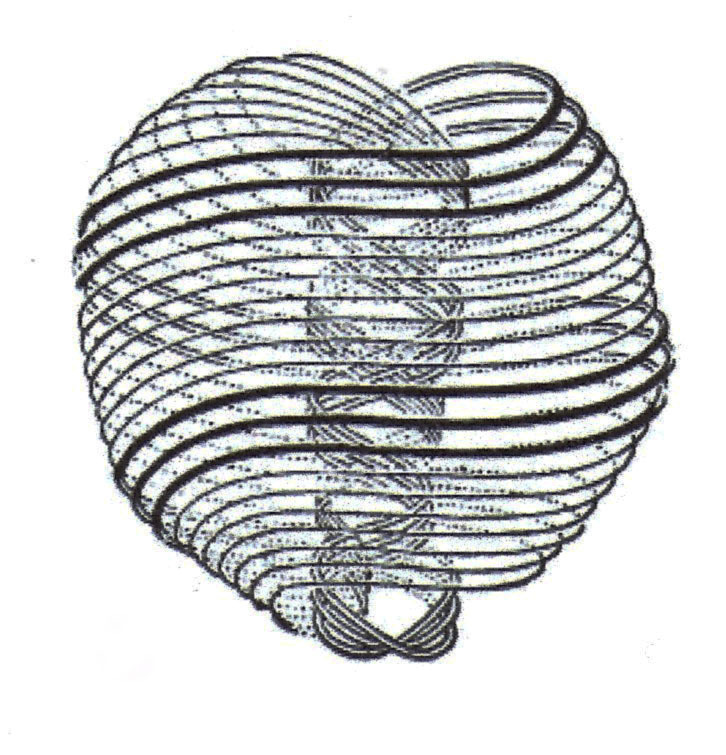 The underlying structure of the torus is the Vector Equilibrium, or "VE." Fuller called it the blueprint by which nature forms energy into matter. Fuller's search for the geometry of vectors led him to the isotropic vector matrix. Vectors produce conceptual structural models of energy events. Scalar space is "multi-" rather than "three-dimensional." Vectors are directed in every possible direction, while deliberately maintaining equivalent lengths and angles. This equivalence is necessarily determined by the symmetry of space. Vector Equilibrium as the "zerophase" of energetic manifestation -- the zerophase of the unified field. The vacuum, the source of organization, feeds all matter. The geometry of absolute equilibrium correlates with the vacuum in invisible flux. VEM is the archetypal seed of Being." The strength/power behind such pointedness is determined by the resistance encountered in reference to the density of the fields encountered. In reference to human consciousness these forms of energy in motion are configured about archetypal patterns having been described as the Platonic solids. This process is visually illustrated in the movement and qualities expressed in the spindle torus. Projected energy in the form of a vector will naturally return upon itself creating a variety of dualistic "situations" and encounters. The spindle torus is an example of the range of relationships to be experienced as consciousness fluctuates in and out of substance/awareness. The interface between spherical fields (duality, yin/yang) qualify the whole field (singularity) and thereby create a shared field (triplicity) between contrasting energies. 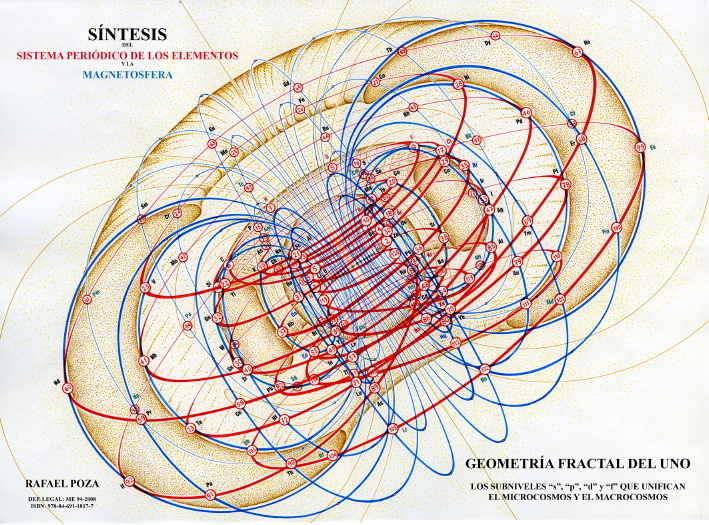 The outcome of this vectorial exchange originating from a common spiraling and centralized source, is the creation of a field (Vesica Piscis) vested with potential to formulate light, energy and information into their most appropriate holographic geometries, i.e. forms. Sphere to spindle torus to horn torus to ring torus describes an involutionary process, i.e. the journey from wholeness (point to sphere) into duality, universe, space/time. 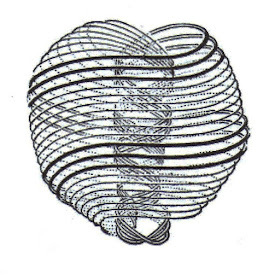 The return journey from ring torus to horn torus to spindle torus to sphere illustrates the evolutionary return from duality to wholeness and the source. The horn and spindle torus symbolize points in the design process between the "states" of singularity and duality, events, horizons, universes and particular levels of consciousness. In the video below please note the emergence of a torus surrounding earth and its relationship to the sun which is instrumental in the creating "portals", i.e. gateways for entering and exiting other fields of energy in motion. These portals are regions that appear to emerge unpredictably "out of space". It is important to remember that our solar system is but one focal point that together with other toroidal events give rise to the Milky Way galaxy. These relationships continue to extend beyond 3D space/time and into infinity by design. The open-ended spiral of action, reaction and result also fulfills the 7 Natural Laws. 1. The Law of Vibration – the energy within the vector is constantly in vibrational motion. 2. The Law of Perpetual Transmutation states that energy is forever moving into form, through form and back into form. Energy within the quantum fulfills this law. 3. Law of Relativity. Electrons just are until related to protons. In the relation their polarity is defined. 4. Law of Rhythm. Vibrations are rhythmic. The energy within the quantum is vibrational at specific rhythms as defined by the environment. 5. Law of Polarity – positive and negative, yin and yang, magnetic and electric. 6. Law of Cause & Effect – for every action there is an equal and opposite reaction is fulfilled in the life of the half quantum. 7. The Law of Gender is fulfilled in the life of a quantum. 8. The One Great Law above all others ENERGY IS. The quantum IS ENERGY. Find your truth. Know your mind. Follow your heart. Love eternal will not be denied. 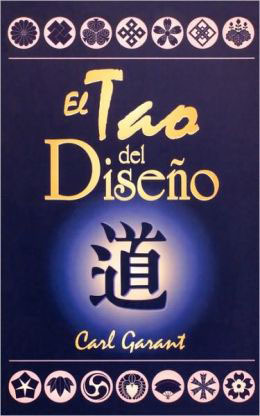 Discernment is an integral part of self-mastery. You may share this post as long as author, copyright and URL http://designconsciousness.blogspot.com/ is included as the resource and shared on a non-commercial no charge basis. Please note … posts are continually being edited over time. Copyright © 2006-2017 C.G. Garant. All Rights Reserved. Fair Use Notice. Umzugsreinigung mit Abnahmegarantie in Zürich und Umgebung. Gratis Offerte für Umzugsreinigung mit Garantie. Bestes Preis/Leistung für Ihre Umzug Reinigung. Thank you. I sincerely hope that this blog will continue to support you in your quest.